A wonderful outfit for the brave and fashion addicted lady. This outfit really touched my heart cause it is a little bit like me 😉 Edgy, with sharp spikes and also a bit romantic with all the lace 😉 Usually a long tight system skirt made if the same lace as the pants is part of that outfit, but I decided to wear it just with the pants 😉 The lace is the basic for the whole outfit. A wonderful corset covers the belly and a short prims part like a very short skirt rounds the hips and upper legs. This hip part carries one of the wonderful long, silver spikes or horns. the upper body you have the lace clothing layers and also an attached prim part that carries the great neck collar. 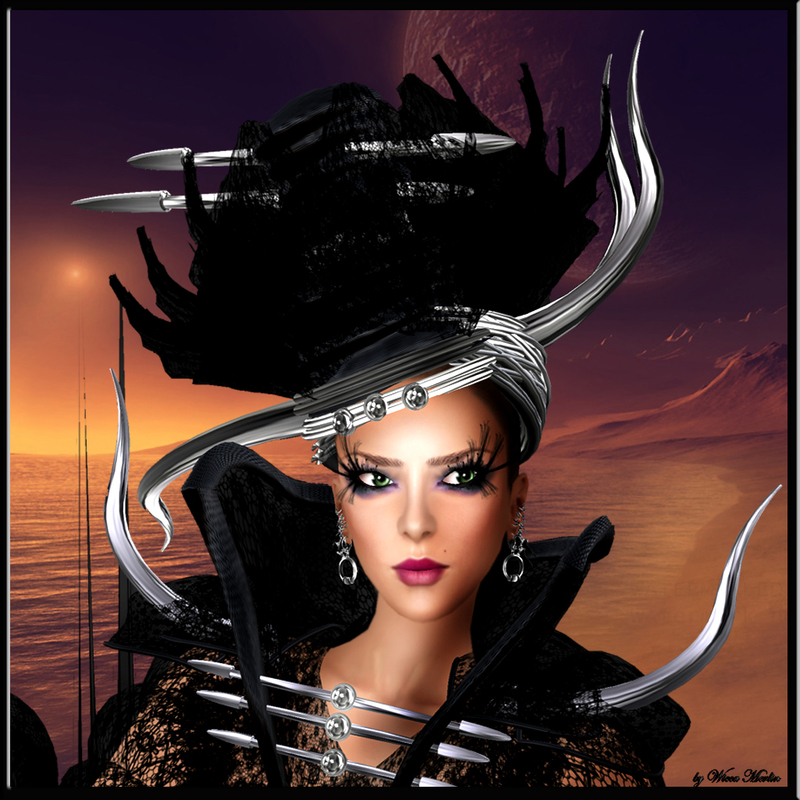 This entry was posted in Fashion, New Releases, Sneak Previews and tagged Arisia Ashmoot, Avantgarde, Black, Body Talking, Couture, edgy, Extraordinary, Extravaganza, Fashion, Female Clothing, female wear, Hat, Haute Couture, head piece, Headpiece, horn, Horns, lace, Latest Release, Mea Culpa, New, New Release, Pants, Pre Release, Skirt, SL Clothing, SL Fashion, Sneak Preview, spike, spikes, Style, Tatanka Kaligawa, Wicca Merlin. Bookmark the permalink.